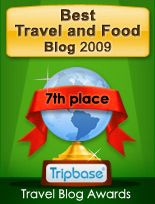 Enjoy - Food & Travel: Say cheese!!!!! My cousin Erica brought me to her nearest Shaws Supermarket, located in Cohasset on Bostons south shore. I love US Supermarkets with their abundance of products and, for Norwegians, extremely low prices. I ended in the delicatessen, where you can get slices of meat and cheese, and what range of cheese!! 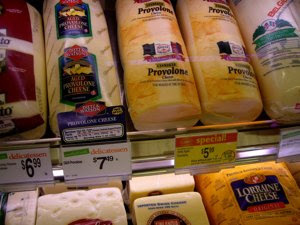 I found these large packages of Provolone cheese, originally Italian, but these are produced in the US. Provolone is an unknown cheese to me (probably most are, as Italy has a large domestic cheese production). Provolone is a semi-hard cow's cheese from the Po valley in Northern Italy. The name is not protected, making it possible for the American to make their own variety. The aged Provolone from Dietz & Watson is for sale at $ 7,49 pr. lb. and the Stella aged unsmoked provolone is priced at $ 5,99 after a discount of $ 1,50. For Europeans American cheese is an entirely different experience. 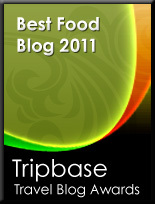 It is a brand that covers a wide range of products, mostly processed cheese, i.e. 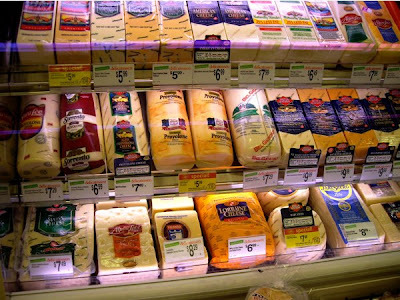 a product made from regular cheese or dairy products. It is very soft and melts easily, thus often used on hamburgers and other hot food. It is a product very different from European cheese. 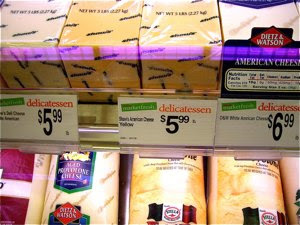 Here you have a yellow cheddar-like store brand sold for $ 5,99 and a white from Dietz & Watson for $ 6,99.